Alvaro A. Arauz, founder of 3a. law management, helps attorneys gain greater professional satisfaction and earnings with less work by using a comprehensive and streamlined set of solutions tailored to their firm’s practice area(s) and growth plan. Through implementing custom-made processes for each law firm and utilizing technology effectively, Arauz develops ways to delegate tasks that take attorneys away from their primary legal work. With clients in over 35 states, Arauz has worked with many of the country’s top 100 Lawyers and Rising Stars in addition to top tier lawyers recognized globally by Chambers, National Trial Lawyers and U.S. News Best Law Firms in America. His clients are frequent experts on CNN and other national news sources. He was selected as one of the best business coaches for lawyers in the Daily Report’s “Best of” rankings for 2015, 2016 and 2018. Arauz shares his knowledge of law practice management as a frequent speaker at international lawyer conferences like AVVO's Lawyernomics, the National Association of Criminal Defense Lawyers in Las Vegas, the American Association for Justice, the Personal Injury Marketing & Management Association National Summit, the North American Law Summit in Costa Rica, the ABA Sports and Entertainment Conference, the Georgia Trial Lawyers Association Annual Conference and law school solo practitioner boot camps. 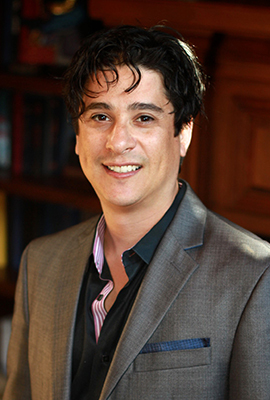 Arauz donates his time on the board of four nonprofit organizations, including serving as chair of the board for RED and Georgia Lawyers for the Arts and as co-chair for the 100th anniversary of Children’s Health Care of Atlanta’s Tower of Talent.